Anoki here. I’m the official spokeswolf for Runs with Wolves Sanctuary. You can call me Pickpocket. Everyone else does. Can’t understand why. If humans are silly enough to leave keys hanging out of their pockets, it isn’t my fault they end up in my mouth! They should be grateful that I’m keeping the keys safe for them. Otherwise, who knows, they could get lost in the mud or leaves or my dinner! And who the heck likes keys with moose meat? I sure don’t! I want to announce the opening of our new website. Isn’t it groovy? I thought things needed to be spiced up a bit. It’s about time someone listened to me. And, to make things even more exciting, we wolves finally get our say in things around here with our very own blog. Even though I’m the official spokeswolf, I will let the others have their moment in the spotlight. Besides, I doubt I could keep Loon quiet for long. Anyway, I hope you’ll take a peek at our pictures (I look especially handsome), and read our stories. We also LOVE comments. Just click on the “comment” link at the top of this post, and you can send us a message. We reply to every message! So, give us your thoughts. We’re all pretty interesting; although, I think I’m the most interesting of them all. Honestly, how can you top this? Anoki, you fabulous pickpocket, you! You are so dang adorable and eloquent I’d probably let you have my keys! Great to see you blogging! I had a hunch you were a natural writer! I shall await your posts with baited breath! You’d really let me have your keys? Sweet! We could play hide and seek with them. Wouldn’t that be fun? Brenda have you read Song of the SUMMER KING fiction book yet it has a female wolf on the cover just like Beyond The Valley of Thorns fiction has a female wolf on the cover too. Song of the SUMMER KING is the first book of a kids’ griffin series however the beautiful female wolf helps the griffin a bit with allies and enemies as well as laws. OH IF SCOUT AND MY SHEPPY COULD MEET EACH OTHER! My sheppy’s a mixed breed part Australian shepherd dog. Pit Bull please don’t jump the fence! Doberman please resist chasing me! Boxer please control your behavior! Rot Wyler dogs please settle down! yapping cousins please stay at your houses, no need to fight, I’m just passing by, thanks! These are what my own replies would be too dear Wolf friends. So defense or the fact that you live better in a sanctuary, either way I can see your true wisdom, plus how often you’re sadly abused, AWWOOOOOOOO, I LOVE YOU!!!!!! It’s my hearts strongest dream to save you!! There are times I visualize myself running by trees in the forest with your pack, there are also times I visualize myself rescuing you helping you escape a close hunter, as well as when I visualize myself saving you quickly on the street!!!!!!!! DAY DREAMS AND NIGHT DREAMS!! Plus that I fit your totem, sincerely dear wolf friends 72% I could try to participate in your fashion of life, 45% I fit your true spirit, and 100% thanks to how much courage I really have within me I fit the ALPHA more than the BETA!!!!! You and I also experience a few of the same problems since I’m one the disabled adults with Autism plus Epilepsy, and then I match you wolves in some managements of life too! I did quizzes that’s why I know these percentages! I’ve also had moments of looking at paintings of a wolf feeling like I heard its voice and then I easily imagine myself joining the wolf in the painted picture, whether at a house or an arts fair! Jasmine Olson expressing how sincere her wolf admiration is. You’re very funny, Anoki. Can’t wait to read more of your stories! Relaxation and Self-satisfaction are what I find the quickest with wolves! Female wolves are busy in the wolf stories and help my vocabulary. Both help my conscience, without you wolves I’d be walking like a drifter and treated like an outcast, it thanks to you I can handle outdoor crowds so calmly despite my Autism, because you wolves help me put my emotional puzzles together without any struggling. You’re the animal who helps my lonely moments, you also entertain me, I easily visualize your packs repeatedly. You wise wolves help my self-concept stay positive, thank you so much that’s one of the things I appreciate the most. Some day I would Love to come meet you ,and what is your favorite food ,along with all your other friends. We all would love for you to come meet us! You can call Brenda (Mom to us) at (207) 637-3007 to arrange a time and day. As for my favorite food….hmm…watermelon is a good one, yet moose meat is my all time favorite!! HI HEATHER, DIANNE, AND BRENDA, THIS IS ME YOUR HOWLING COMMENT WRITER JASMINE OLSON IN UT. WHO LOVES WOLVES. MY HEART SHOUTS HELP THE WOLVES SO FIRMLY IN EMOTIONS I’LL NEVER QUIT WRITING ON YOUR SITES, NEVER. LOVE WITH DOGS INTEREST IN WHAT WOLVES HAVE IN COMMON WITH PEOPLE AND IMPRESSIONS AS WELL AS GOOD ENCOURAGEMENTS ARE WHAT GOT ME INTO THE WOLF WORLD. I’M 25 MY LADIES. I WAS BORN BETWEEN THE TIME THE ALPHA PAIR GETS BUSY APRIL 30TH. WITH ME IT DOESN’T MATTER RELIGION, FICTIONS, FABLES, PICTURE BOOKS ABOUT WOLF PACK TEAMWORK, WOLF TOTEM FACTS, SLED DOG STORIES, THE SAINTS THE WOLF DID STUFF WITH, THE WAYS THE WOLVES HELPED NATIVE AMERICANS, THE ICE AGE YEARS OF THEIR COUSINS, THE HOLIDAYS. VISUAL AND SPIRITUAL, IT FEELS LIKE THE WOLVES GUIDE ME , IT FEELS LIKE THEY COMFORT ME, IT’S A PRECIOUS FRIENDSHIP. This is their friend Jasmine Olson again my ladies. They help me picture protection and real politeness. They’ve helped me with trickery and freedom, emotionally. they’re clear enough in their fiction stories the wolves have helped me learn my grammar too by visualizing them and then out of the blues, visualizing people doing the very same action or having the very same problem. the clearest fiction wolves have helped me with self – discipline and they helped me decide firmly my longest lasting goal is to be steady and cope even during hard times. I their 25 year old UT. friend Jasmine Olson am being honest, it’s never quantity with me in my house, no my ladies, with me making my own collection of wolf item it’s I can’t quit staring at the beautiful resourceful wolves, I love them I really wish to someday come close enough to meet them. I have both the courage and the interest my ladies. they’ve helped me see that hope and attention should always be balanced. emotionally with momentary imagination the wolf is my totem leader visions and spirit, plus clear conscience thanks to them. Hi my ladies it’s the dear wolves’ half feral UT friend Jasmine Olson who lives with Henrietta Abeyta, this was a lovely Autumn. Nov. 17 2015 I decided what I’m the most thankful for this year is from every lesson I’ve had with the wolves started by my visual and spiritual guidance, thanks to the wolves I’ve learned how to feel calmer as well as this was the year I really learned who I am. My dear ladies I’m not joking, I’m 25 years and 7 months old, and as I Jasmine Olson am speaking it’s that I have 3 disabilities and I’d say it seems that from ancient time to today the beautiful wolves have been equally hurt to how much handicap and low functioning disabled people are abused, kicked out, bullied, or tricked, mostly both groups are misunderstood(wolves and disabled people). This equality is what caused my dream of wolves to start while I was going to school, this problem filled me with deep sorrow. Starting all the way back to the first Ice Age their amazing true history is what made begin to trust wolves, and animated movies and books help me understand them well enough to actually learn from them!! Jasmine Olson here I believe in the loyal wolves like Native Americans and the Asians who sort of worship them, even if I’m Hispanic in race I’m nothing like the white people in wolf beliefs, not one bit!! Monsters no just territory defensive, vermin not at all just good at balancing grazers fish and other large wildlife groups, villains definitely false the wolves are prudent watchers who are resourceful protective and cautious. Sure not entirely but more like the wolf than humans, my first value is peace, my first rule is balance in things like attitude, money, hope, love, and similar things. Quizzes repeatedly tell me loyalty and courage are what my special qualities are, and people who know me well tell me sincerely that I cheer them up or crawl deep into their hearts. In wolf descriptions my personal pretend appearance is blues eyes, yellow tummy, red zigzag on the chest, brown ears, tri colored mane, colorful dotted tail with gray as the background color, a nose bridge with gold red and an orangish color, white paws, plain gray legs. I their half feral friend Jasmine Olson fit several of the fantasy kinds, and the alpha is the rank I get the most from wolf pack rank quizzes. One thing I could say is wolf or human I’m firmly flexible. And here are answers that prove how big I am on staying balanced my ladies. RALIA UNICORN, UNIST UNICORN, RAINBOW DRAGON, RUTH, JESUS MOTHER, SARAH, ESTHER, MARTHA, WARRIOR JUDITH, MAGDALENE, from Christian bible, DEMETER, IRIS, ARTEMIS FROM GREEK STORIES, SAINT AUGUSTINE and SAINT ISAAC JOGUES from the saint list, EAGLE WINGED, ANGEL , BLACK WINGED ANGEL, THE ARCHANGEL URIEL, SPIRIT WOLF, YIN- YANG WOLF, GUARDIAN WOLF, ALPHA WOLF, BETA WOLF once in a while, 100% ANGEL OF HEALING, 77% ANGEL OF ANNUNCIATION, 77% ANGEL OF WISDOM, 75% ANGEL OF MERCY, 49% ANGEL OF LOVE AND ONLY 15% ANGEL OF WAR 0% ANGEL OF DEATH. And I’m flexible enough to fit numerous animals from spirit animal quizzes my ladies, but the truth is the lovely wolves are the animals I can sure understand the best from body language and wisdom. People have told me it doesn’t matter if it’s me trying to read animal actions or me reading a human’s feelings they say I have I insights by surprise. I Jasmine Olson love the wolves so much I really can’t do without at least a few wolf amulet items my ladies, they really do give me visual and spiritual guidance, emotionally I’m part of the wolves’ pack my ladies, they’re deep in my heart, I Jasmine Olson the wolves’ half feral friend in UT. would even go to court to help the wise and loyal wolves for sure!!!!!!!! HAPPY THANKSGIVING TO YOU MY DEAR LADIES AT THIS SANCTUARY. CONSOLED INSPIRED SECURE AND EVEN STRENGTHENED HEART AND SPIRIT YOU BEAUTIFUL WOLVES ARE AMAZINGLY ABLE TO BE UNSEEN FACILITATORS OF MINE, MY HIGH COMPREHENSION, AND HOW OFTEN I VISUALIZE WOLVES. FACILITATORS, ADVISORS, FRIENDS, MY VISUALIZED GUIDANCE, MY TOP FAVORITE ANIMAL OF ALL, MY COMPREHENSION OF YOUR EXPRESSIONS WHILE I READ ABOUT YOU. THESE FACTS ARE NO JOKE I’M EMOTIONAL ABOUT YOUR PACKS AND THESE ARE THE DAILY RESULTS FROM THINKING, READING, AND UNDERSTANDING YOU. I’M ABLE TO MEMORIZE WHAT I LEARN FROM YOU, INCLUDING FICTION STORIES. 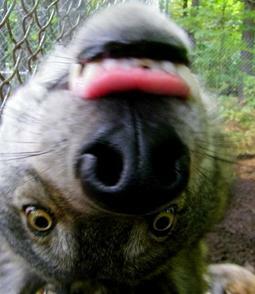 YOU LOYAL WOLVES ARE THE ONES WHO SURPRISINGLY HELP ME SEE BOTH SIDES OF LIFE, THANK YOU VERY MUCH DEAR WOLF FRIENDS. IT’S JASMINE OLSON AGAIN. BRENDA I BELIEVE REBECCA GRAMBO HAS I OVERSIZED NON-FICTION BOOK THAT WOULD SURE HLEP YOU QUITE WELL IN REACTION TO VISITORS AS WELL AS COMMUNICATION JUST LIKE YELLOWSTONE I WANT YOUR WOLF SANCTUARY ALIVE TOO! Rebecca Grambo has her friendly non-fiction book Wolf legend enemy and icon book that talks about the ancient believes. the wolves’ ancestors including miacids who became their size. this books tells you much about the nations did to worship or sadly hurt the lovely wolves and it tells you what the long lasting changes are compared to current days too BRENDA. It also explains their true attitude REBECCA GRAMBO DOESN’T SEE LITTLE RED RIDING HOOD REAL AT ALL EITHER BRENDA, plus she’s an author who studies nature traveling repeatedly. America , Europe, Asia numerous small tribe custom introduced in this big book, a few tribal songs friendly wolf sayings, history of 1920 and more dear BRENDA, good luck! ANOKI I’ve read plenty of books to not feel nervous while facing the calm wolves like you. I’ve learned sometimes for protection you push a foe out of a friend’s way like White Fang helping the boy who saved him. I’ve learned how sometime making a friend run is your way of trying to inspire that friend into assertiveness. I’ve learned gentle bites can mean love. I’ve learned sometimes your huff means you’d rather continue doing something since you’ve gone too far to stop, especially when the task does with safety. I’ve learned sometimes average volume growls can mean you’re reasoning about something in the wolf way. I’ve learned once in a while grabbing a cousin is your wolf way to show humans you’re a bit bored or kind of lonely. I’ve learned sometimes you and a dog lift your tails at the same time but form friendship rather than arguments, but the majority of people misunderstand this conversation. I’ve learned sometimes it’s the shadow that confused you so accidently chased someone. I’ve learned whether people rudely confuse you by feeding you junk food or you’re in your pack’s real territory the actions you use to protect your territory stay the same, lots of humans just don’t realize the speed of adaption you’ve got. You wise wolves hug in several ways. I’ve learned howling is your most used vocal language. I’ve learned sometimes what people call whimpering is a wolf’s way to quietly alert others, especially its pack members, you’re expressing your nervousness of close danger. I’ve learned once in a while a loud growl is your expression of sincere agreement, saying you’re not backing out. I’ve learned there are times you’re not trying to hide but you’re doing your best to keep away from a close disaster, especially fire. I’ve learned you’re always thankful for those who help you heal. I’ve learned sometimes you’re not playing but you’re trying to help someone escape a foe like the bears for example. I’ve learned there are times you’re not trying to bite someone’s arm but you’re telling that true friend follow me this way. I’ve learned blink, howl, and then nod can be your way to greet after you submit to the alpha. and I’ve learned rumble, snort, wrinkled nose, and then your upper lip lifted a bit can be your more active way to say yes I’m coming with you and I’ll my very best to support you. Right Anoki, this is the wolf language I have memorized from repeatedly reading wolf stories nonstop. My bedroom will be one of the few places with some wolf items, because I have compassion and insight as well courage. I’d meet you with patience, and delight. It’s true that someday I’ll visit YELLOWSTONE NATIONAL PARK. Your UT. friend Jasmine Olson speaking to your Runs With Wolves Sanctuary.